So Do We All Need to Go Veggie ? It is a matter of personal choice as to whether we cut processed meat out of our diets altogether or just drastically cut back on it. Going vegan or vegetarian might seem like a step too far for many people, but in light of this new classification, now is a good time to take a cold hard look at our eating habits and reassess what sort of food we put into our bodies each and every day of our lives. 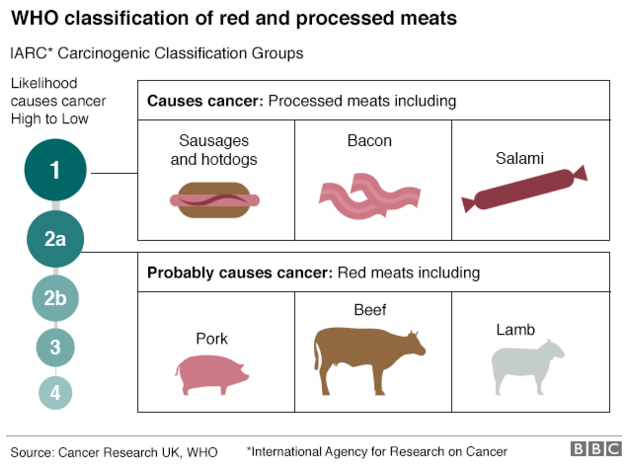 What this new information does mean is that as the link between processed meat and colorectal (bowel) cancer is now proven and that the risk increases with the amount of processed meat consumed. What Exactly is Processed Meat ? Red meat has been classified one group below processed meat GROUP 2a probably carcinogenic to humans. 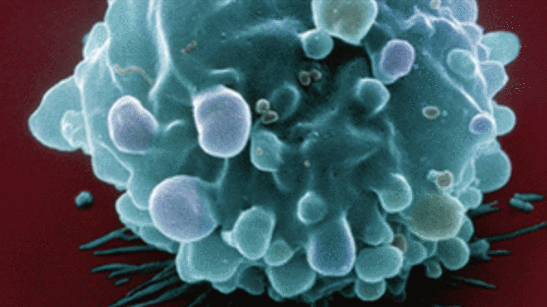 This means that there is very strong evidence to suggest that unprocessed red meat also causes cancer in humans. What About the Atkins and Paleo Diets ? The Atkins diets essentially advises to cut back on carbohydrates and substitute them for proteins and fats. What Do You Typically Eat More of on Atkins ? Typically you would consume more protein and fat from poultry, fish, eggs, red meat, butter, cheese, cream and vegetable oils. What do You Typically Eat Less of on Atkins ? Pasta, bread, grains, fruit, nuts, beans, starchy vegetables or dairy other than butter, cheese and cream. It is slightly more complicated than that and is comprised of several phases but you kinda get the gist! The Paleo Diet is based on the perceived food stuffs of our Paleolithic or Stone Age hunter gather ancestors. What Do You Typically Eat More of on the Paleo Diet ? Fresh lean meats, fish, fruits and vegetables. What Do You Typically Eat Less of on the Paleo Diet ? You don’t eat processed foods, grains or dairy as those food groups were not available to our caveman ancestors. IARC’s review confirms the recommendation in WHO’s 2002 “Diet, nutrition and the prevention of chronic diseases” report, which advised people to moderate consumption of preserved meat to reduce the risk of cancer. According to the World Health Organization: In the case of red meat, the classification is based on limited evidence from epidemiological studies showing positive associations between eating red meat and developing colorectal cancer as well as strong mechanistic evidence. Can a Program that Increases Meat and Fat Intake Really be the Best Diet for You ? Clearly increasing our potential risk of cancer by eating more red meat, when current evidence is telling us that it would be wise to reduce intake of these food groups is not the best way to achieve our weight loss and optimal health goals. High cholesterol levels from increased amounts of saturated fat in the diet from meat and dairy is associated with increased risk of heart disease. Current U.K. guidelines advise on reducing intake of saturated fats. Meat has much slower transit times through the digestive system than fruit, vegetables and grains which pass far more quickly. They also contain essential dietary fiber which cleanses the colon thus promoting better intestinal health. The increased levels of antibiotics, chemicals and hormones present in meat due to the intensive methods used in modern farming, in turn put further stress on the liver which has to work harder to rid these from the system. Most of the fish we buy contains Mercury. Current FDA guidelines advise women who are pregnant, women who are planning to become pregnant, nursing mothers and young children to avoid eating fish that contains Mercury. Is the 30 Day Weight Loss Formula the Answer ? I have made it my life’s work to to research this topic extensively. My motto is “Lose Weight Because of Good Health Not at The Expense of Good Health”. The 30 Day Weight Loss Formula has not only helped people lose weight, it has also helped them get into the best health they have ever been in, in their lives. The healthy eating that forms the basis of this program has been so instrumental in restoring people to optimal health that it has helped prevent a colon operation that would have resulted in a colostomy bag having been worn for life, simply by restoring normal, healthy digestive function. This program is so powerful that it has helped clients lose weight and come off medication for Type II Diabetes and high blood pressure. It has also helped people suffering from Chronic Fatigue Syndrome for 10 years get back to full time work by restoring their energy levels and boosting their immune system. The 30 Day Weight Loss Formula is simple and easy to follow and it just does what it says on the tin. You will see a dramatic improvement in your health. Your Liver, Kidneys, Digestive and Hormonal Systems will also be dramatically improved. You will have more energy, be more physically and mentally alert. You will sleep better, feel better, look better and be better than you have been for decades.